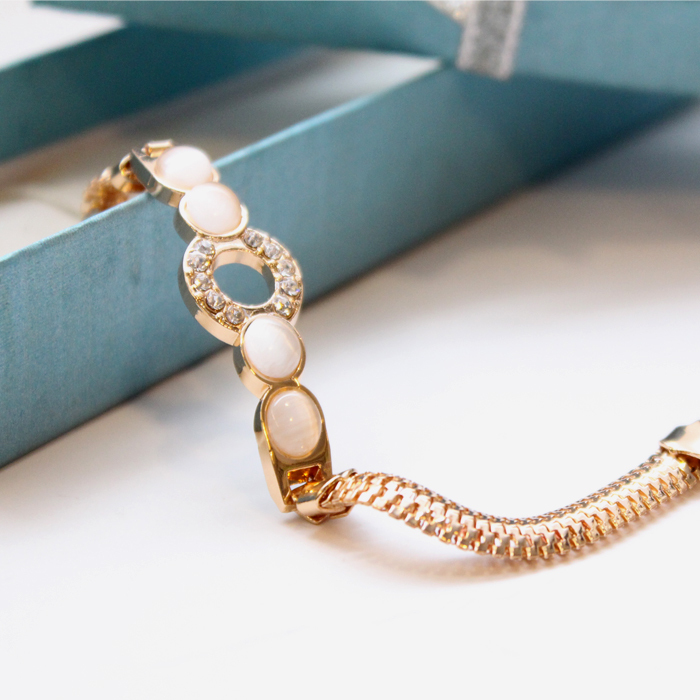 This funky bracelet has an embellishment of gold plating to create an imperial and beautiful look. Made with brass this open stardust jewelry bracelet will definitely win the heart you would want to gift it to. Special gift for your beloved wife, mother, sister or just anyone on her special day to put a smile on her face and mark your remembrance for lifetime. A perfect fit for Valentine, Birthday, Mothers day, Anniversary, Eid, Graduation or just any occasion.